Welcome to the 9th Stencil Test Drive Redux! (See all the test drives here.) And read down to the bottom for a special announcement from Stencil Girl! GIVEAWAY ALERT! 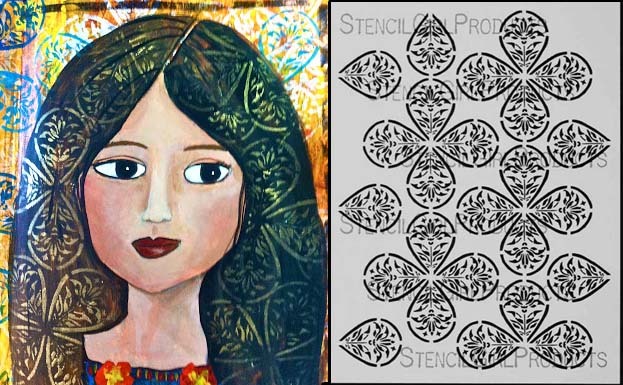 Each month, I will give away one of the featured stencils to one randomly chosen person. All you need to do is post a comment below. Comments for the giveaway will close on Monday at 9PM EST, and the winner will be posted in this post by Tuesday morning 10AM EST, so make sure to check back! 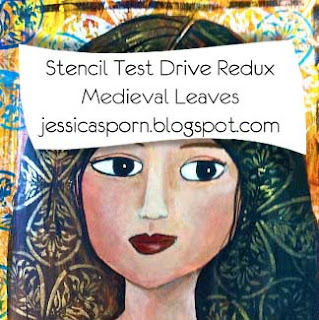 This week - a look back at the Medieval Leaves Stencil Test Drive. Here's a peek at my project and the Medieval Leaves Stencil itself. These colors are so delicious! AND ... GIVEAWAY ALERT: For a chance to win the Medieval Leaves Stencil, make sure to leave a comment below and include your email address. Comments close Monday night at 9PM EST. Come back to THIS POST next Tuesday to see the winner. Ohhhh - I think this is my new fave! Love it!! Love seeing how you used it too! Love your work and designs. How is it I never caught the intricate detailing inside the petals... it's a really pretty stencil. 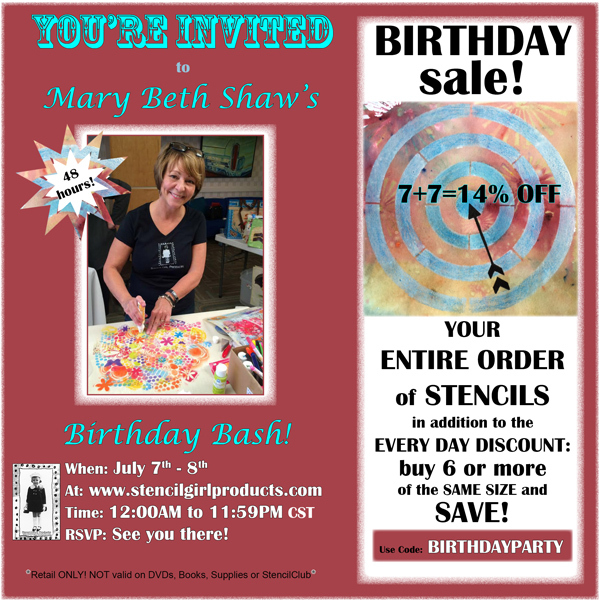 Since 7/7 is my birthday as well, I guess it's a great time to treat myself to one of your stencils. Yay! You're the winner! Please check your email for mine asking for your snail mail address!! Love seeing your posts and this revisit is great. Looking forward to your new stamps too! Love the stencil used as a flower. Looking forward to your new stamps as well. Thanks for a chance to win! 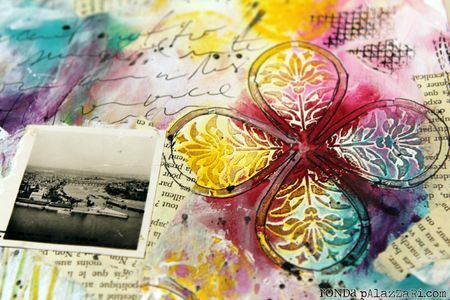 LOVE this stencil Jessica, and what beautiful projects! Thanks for the test drive review, I had missed some of the projects. cnikita2(at)aol(dotcom). This stencil provides so much variety of use. I have ideas! Cool projects from the designers. 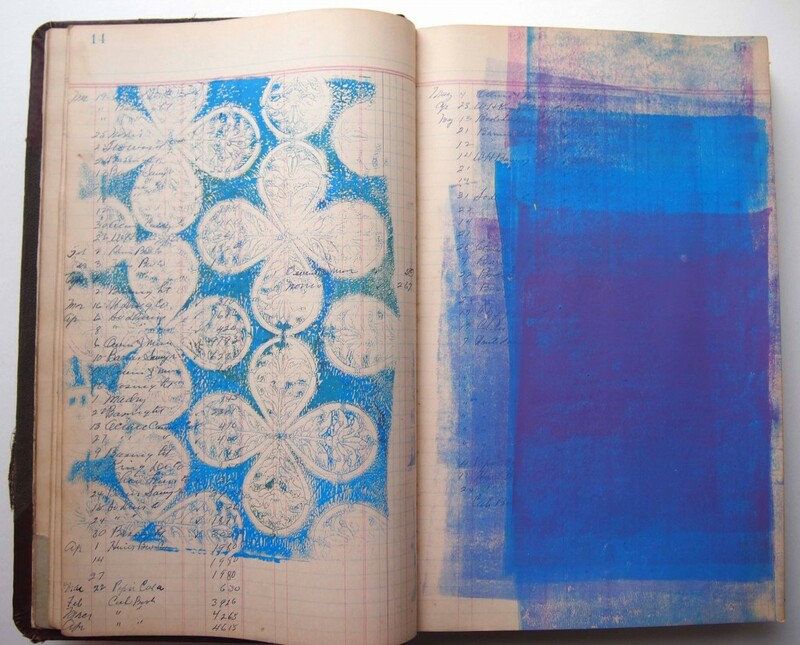 Would love to have a chance to play with this stencil. 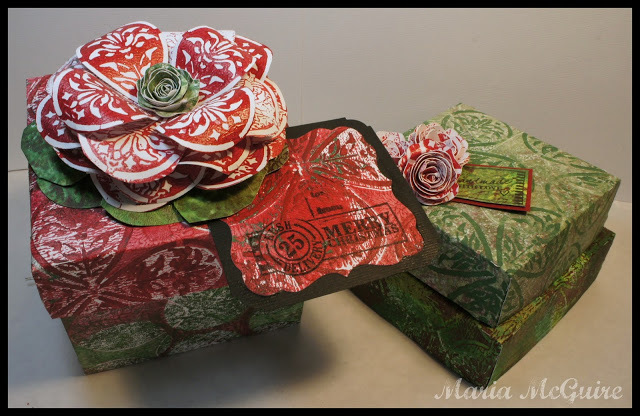 Love the versatility of this stencil... as clearly shown by Maria. Would NEVER have thought to turn the stencil into a flower. You go! Checked out your layout, Jessica. Captured that young girl beautifully. Connecting with you for the first time. My email is KellyH (at) artlover (dot) com Creative Blessings! love this stencil. Thank you for all the beautiful ideas and inspiration. love this stencil. love all the beautiful ideas and inspiration. Loving this! Can't wait to try the stencil out!